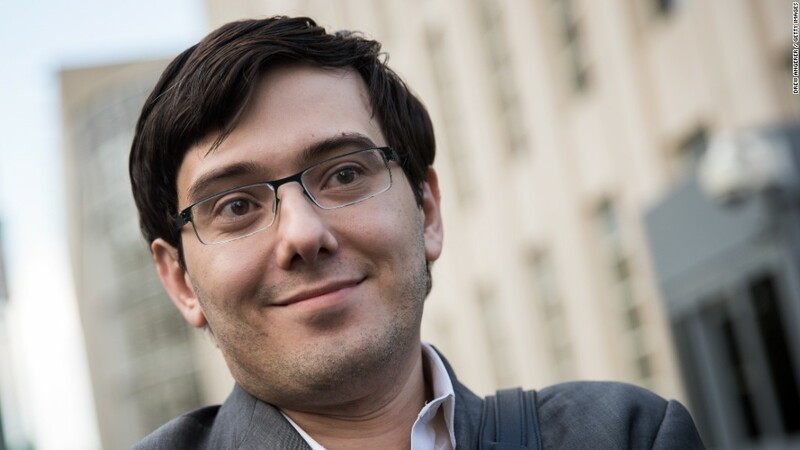 Martin Shkreli might have to forfeit his one-of-a-kind Wu-Tang album "Once Upon a Time in Shaolin." Prosecutors on Thursday asked Brooklyn Federal Court Judge Kiyo Matsumoto to seize $7.4 million in assets from Shkreli, the former pharmaceutical executive and hedge fund manager who was convicted in August of defrauding investors. The government said it would like to keep the $5 million that Shkreli paid in bail, and listed other assets, including the Wu-Tang album, a Lil Wayne album "The Carter V," a Picasso painting and an Enigma machine from World War II, that could make up the difference, according to court documents. They also want to seize his holdings in Turing Pharmaceuticals, where as CEO he raised the price of a life saving Daraprim by 5,000%. Shkreli's convictions had nothing to do with Daraprim. "We will vigorously oppose the government motion," said Shkreli's lawyer Ben Brafman in an email to CNNMoney. Shkreli is currently in jail in Brooklyn and is scheduled to be sentenced on January 16, 2018. He faces up to 20 years in prison.